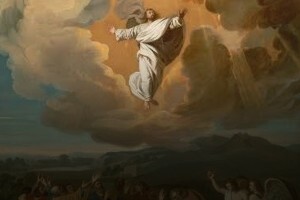 Of the many skeptical, alternative theories of the Resurrection, the impostor theory is sometimes offered in an effort explain the apparent confusion of the disciples. There are a number of places in the Gospels where followers of Jesus seem to be slow to recognize Him. Mary mistakes Jesus for a gardener, the disciples on the road to Emmaus fail to recognize Jesus altogether. Couldn’t an impostor have stepped in and fooled the disciples into thinking he was Jesus? I’ve learned something important from the fraud investigators who have joined our homicide team over the years. Con artists are successful if, and only if, they know more about the focus of their lie, than the people to whom they are lying. If you’re trying to con someone out of money in a phony investment scheme, you better know more about investment businesses than your victims. You’ll need to sound like you know what you’re doing if you want to convince someone to give you their money, and they better not be able to detect your deception. So if someone wanted to con those closest to Jesus into believing that Jesus had actually risen from the dead, he would need to know Jesus (his mannerisms, figures of speech and behaviors) better than the disciples themselves. Who could know Jesus this well? I think it would have to be someone in the inner circle, and this person would have to begin by stealing the body; a difficult feat for a single person. It’s not long before impostor theories turn into theories that Involve co-conspirators, and I’ve written an entire chapter of Cold-Case Christianity to explain why conspiracies are so difficult to execute successfully. What kind of impostor could do all this? It’s one thing to speak like Jesus, maybe even look like Jesus or move like Him, but it’s another thing to perform supernaturally like Jesus, especially when it’s time to ascend into heaven. In the forty days that followed the first Easter Sunday, Jesus continued to demonstrate His divinity. The post-Resurrection version of Jesus was just as supernatural and divine as the pre-Resurrection Jesus. For this reason, the impostor theory is just another unreasonable alternative.